There is no dearth of books on nutrition, basic and applied, so that one might be tempted to exclaim “Yet Another Book”! 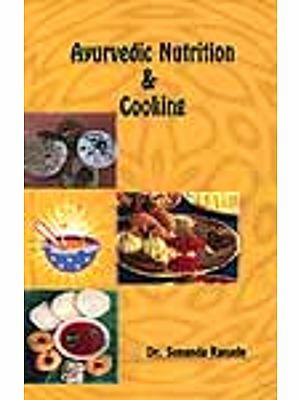 However, a perusal of Nutrition: A Practical Approach by RL Bijlani at once belies such a fear for it is a somewhat unusual and rather a unique book. We know that a hiatus exists today between patients’ interest and inquisitiveness about what diet to have and what foods to avoid for their particular illnesses and the somewhat evasive responses often given by physicians reflecting their ignorance. This is an area where practitioners of indigenous systems of medicine score over their modern counterparts. Medical curricula do provide physiological knowledge about food and nutrition and about pathological syndromes, but are reticent about what practical advice and instructions to give regarding diet for the individual patient. The book contains what every graduating physician should know, whether he or she is destined for general practice or a specialist career. It is targeted to medical students although it should interest wider groups. It is written in simple, direct and colloquial style, yet the messages are based on scientifically sound and up-to-date knowledge. Presented in the form of a series of exercises, it is intensely practical with added material to facilitate tape-slide programmers for small groups and self learning. RL Bijlani, from past publications, indeed even from his student days, has a rare gift of effective communication of science which is the high point of this work. He makes some simple and direct points, such as improving the diet does not necessarily involve additional expense, use locally available foods, cereal-pulse mixtures can readily satisfy energy and protein needs and with added fruits and vegetables will also meet vitamin and fiber needs, cholesterol is not a poison but a normal essential constituent of the body. Topics which interest and worry people and about which there is so much popular lore, but to which the medical profession pays scant attention also figure in this work. Topics such as constipation, belching and flatulence are addressed, and their physiological bases presented with practical advice as to how to cope with them. In sum, this book is a valuable addition to the practice of medicine and nutrition. It is more than twelve years since this book was first published. During this period, the science of nutrition has grown and evolved, but there has hardly been any change in whatever little medical students learn about the subject. The emphasis is still on the biochemical aspects of nutrition, while the knowledge and skills required for translating chemical knowledge into food- based recommendations continue to be neglected. This fact was highlighted also during the workshop on nutrition in the medical curriculum organized in April 2004 by the renowned nutrition scientist, Dr C Gopalan. It is hoped that the recommendations of the workshop will lead to some desirable changes in the medical curriculum: till then one can only hope that doctors will make up the deficit by self-learning. In keeping with the need which this book is designed to fulfill, the reader has been introduced in this edition to Food Based Dietary Guidelines published by the National Institute of Nutrition in 1998. Besides this, the sections dealing with dietary fats have been rewritten in light of new knowledge, specially that regarding the need for n-3 polyunsaturated fats. The concept of dietary fiber has been expanded to include other phytonutrients. The classifications of obesity and lifestyles have been revised in light of the latest literature. With these changes, the book should be a source of up-to-date information on nutrition for medical students and practicing physicians. Readers are requested to send their comments and suggestions so that the next edition can be improved further. This book has evolved from an exercise which I devised for first year medical students at the All India Institute of Medical Sciences about ten years ago. The exercise was a conscious effort to fill a gap in medical education. While medical students get glimpses of the science of nutrition at various stages of their course, they learn very little about translating their scientific knowledge into practical terms. As a result, doctors often tell their patients to take a high protein or low salt diet, but fumble for words when asked which foods to take, and which to avoid. Further, doctors often reinforce the misconceptions of patients by telling them to consume meat, eggs, milk and cheese for a high protein diet. The reality, in fact, is that cereals and pulses are the major sources of protein in an Indian diet, and there is hardly any situation, in health or disease, where we need more protein than what can be supplied by a judicious mixture of cereals and pulses. One way to remedy the ignorance of doctors in this area of everyday importance is to include a few exercises in the medical curriculum which involve delving into facts and figures. While it is neither possible nor necessary to remember all such facts and figures, this book will give the students a feel of foods in scientific terms, and more importantly, tell them where to look for information when required. At present I find that much of the valuable work done at the National Institute of Nutrition which is easily available for ready reference in Indian Council of Medical Research publications remains unknown to medical students and doctors. Since this is an unconventional book, both in content and style, readers’ comments would be specially welcome, and are sincerely invited. 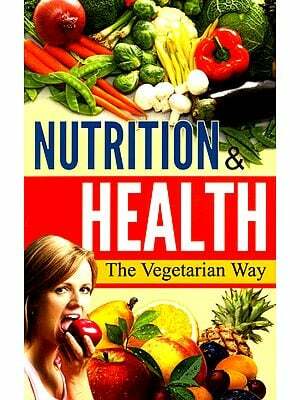 I am grateful to Prof V Ramalingaswami, a nutrition expert of international repute, for his valuable comments on the manuscript, and for writing a generous foreword to the book. I would like to thank Dr NK Arora, Dr Anupa Siddhu, Ms Rekha Sharma and Ms Shobha Gupta for helpful discussions and useful information, and Ms .Jatinder Kaur for typing the manuscript. Ms Jigeesha Pasricha has given a touch of humour to the work with her cartoons, and Ms Punita Puri has done the computer graphics. Dr KP Kochhar and Ms Promila Kapoor shared the drudgery of proofreading cheerfully and efficiently. My wife, Lovleen, provided the vital link between knowledge and practice which is crucial for a book on applied nutrition. Finally, it is the publishers who have made the book possible. Mr JP Vij promptly accepted the challenge and risk involved in this unconventional venture. This book can be used in at least two ways. The teachers can use the book to prepare a set of tape slide programs. The ‘text’ section of the book has been written in a conversational style, all ready for the teacher to record on a tape. However, the teacher is free to make any changes in the script to suit his or her taste or local conditions. The audio tape would need the visual aid of corresponding slides to form the complete learning resource material. The material for slides has also been given in the book in a camera-ready form. Once the audiotape and slides are ready, the exercises may be conducted by the teacher during practical classes. The teacher’s role would be primarily limited to organisation and answering students’ questions. There are two reasons why it is better to do these exercises during the practicals. First, the tape slide program is ideally a small group activity, and for practicals the students are usually grouped into small batches. Second, the exercises need a few hours at a stretch, and that much time is usually available only in practical classes. The tape and the corresponding set of slides can be issued to small groups of students for a limited period of time to be used as self-learning material. Some useful tips on making tape slide programs are given in Appendix I. The book can be used directly for learning. Read the ‘text’ and see the corresponding ‘slide’ for a fuller understanding. Stop to make calculations or comments as indicated. Further, while revising the material, looking at only the ‘slides’ can save a lot of time. This is the way the book is likely to be used most frequently. However, since the book is also meant to be suitable as the script for tape slide programs, the figure has been referred to as slides. While reading this book the student should consider ‘slides’ to be synonymous with figures. He! She should use the ‘slides’ as visual aids the way he/she uses figures in other books. Some portions of the text which are relevant only to the script of a tape slide program have been presented in small print. The student may ignore these portions while using this book like a conventional one. The book can serve as self-learning material, more or less like a programmed text, with the added advantage that the language is conversational rather than formal. While reading the ‘text’, the student can imagine as if the teacher is talking to him/her. What a wonderful way for self-learning: very similar to what Eklavya did. For using the book in this way, neither the teacher nor any equipment is necessary. It can be used like this by anyone — a student, a teacher, a dietitian, or a practitioner. All what is required is investment of a little time in something that is likely to be useful everyday — in the profession, and outside it.